This month we’re sharing a bit more about our partners, our students, and our recent graduates from Kenya. ChildCare INTERNATIONAL sponsors over 500 children all across Kenya with the help of our partners in Tumaini, Mathare, and Mawazo. Through the support of our sponsors, these children are able to go to school and pursue their dreams. For many of our recent graduates, their dreams are to attend university, become doctors, lawyers, journalists, business professionals and more. We look forward to seeing what this generation of change makers will accomplish in the years to come! 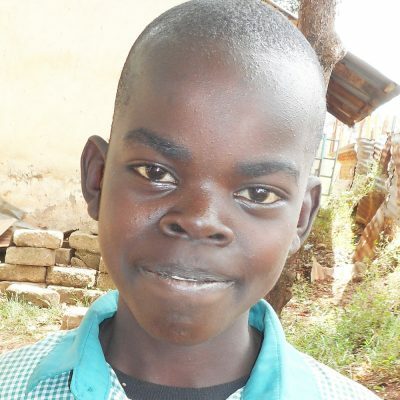 Peter is the eldest of four siblings, and has been a sponsor child at CCI since 2009. He plans to continue his education by going to university and studying law. Congratulations Peter! “In future, I hope to be a surgeon, and [have studied] hard for a chance at the best universities in the country.” Congratulations Risper, and best of luck! 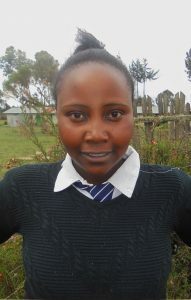 Lucy grew up with her brother and single mother, and enjoyed English classes in school. She dreams of becoming a journalist to educate and help needy and homeless kids. Congratulations Lucy! “My hopes and dreams are joining the university and enrolling a degree in human rights law. As a lawyer, I will be able to give back to the society by creating an enabling environment for people to seek justice.” Great work John, and good luck! Bancy has four brothers and two sisters, and lives at home with her mother. She dreams of helping other people who need food, shelter and God. Congratulations on graduating Bancy! “My hopes and dreams are […] to join my dream university to do medicine. I thank you for your support in paying my school fees. May you continue with that spirit of being kind to people who don’t have.” Congratulations Lucy! CCI has been working in Kenya for over 20 years, and one of our partners that helps make this possible is Mathare Community Outreach in Mathare, Kenya. Mathare is one of the most notorious network of slums in Nairobi. With a population of half a million living in roughly half a square mile, Mathare is marked with extreme poverty, unemployment and a high crime rate. It’s not the easiest place for children to grow up, and school fees are often a luxury that many families in Mathare cannot afford. 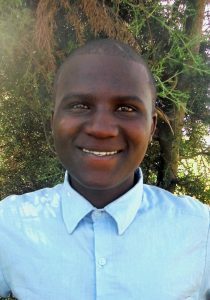 Meet Vitalis Matinde, our program Coordinator at Mathare Community Outreach. 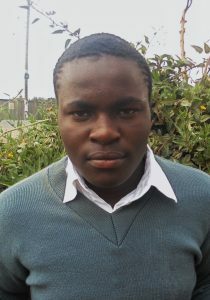 My name is Vitalis Matinde, I am from Kenya. I am married and have seven children. The Lord called me to serve Him in the children’s ministry in 2000. [Since then, I’ve seen] the less privileged getting education and getting to walk with Jesus. Over the years we have witnessed here in Mathare valley boys and girls grow to be respectable citizens of this land, through support we have been giving with the help of partners who have walked with us over the years. 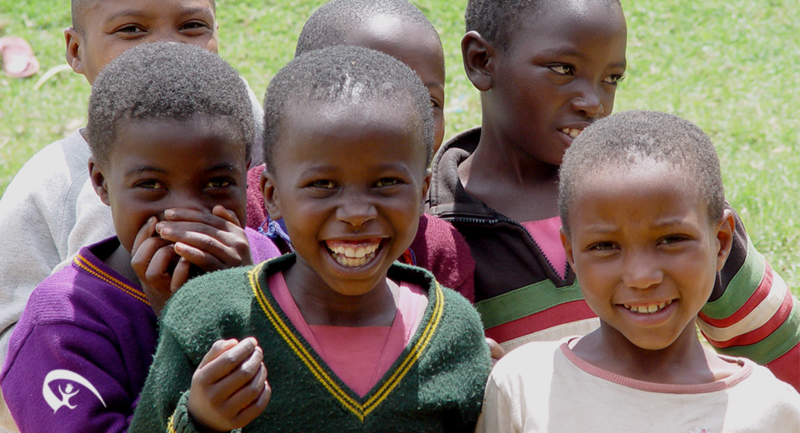 Mathare Community Outreach started operating in the community in 1994 as a response to the lack of basic needs being met, especially the needs of children. Many children in Mathare don’t go to school. Most of these children’s parents are either into drugs or alcohol, prostitution or crime. Most families live on less than a dollar a day. This has made many families unable to send their children to school. This in turn is part of the undoing in the community – boys turn to crime and girls get pregnant and have children who are fatherless. The support from CCI has helped children stay in school, and also helped relieve parents from paying school fees. Money which would have been spent on the sponsored child can now help support food for the family or even fees for other siblings.The community gains in that crime rate will eventually be down as these children turn into youths and adults. In the future, we pray the Lord will help us support these students from primary all the way to secondary schools. Also, we would like to reach the parents of our students by empowering them through trainings into small scale income generating activities, and assisting older pupils in vocational skills. In Kenya, we also work with Florence Evelia, manager of Mawazo Child Care Centre. The Mawazo Women’s Group is a community based organization that aims to help vulnerable members of the community such as the orphaned children and their grandparents who care for them. 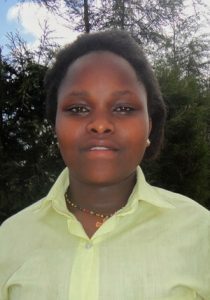 I am Florence Evelia, manager of Mawazo Child Care Centre. I have three children, and ten-grandchildren, and have been working with the Mawazo Women’s Group since it was founded in 1998. We create awareness for the people and vulnerable children in society, and enable these children to receive education and have food while attending school. When we started, members of the group contributed food, clothing and payments for the teachers from our own means. As enrolment of children grew, it became difficult for us to continuously provide food for the children and pay the teacher. CCI came to partner with us in July 2011, and we are now able to help over 100 children. These children come from low-income, single parent families. Sometimes, where there are family issues, parents often end up leaving the children in the hands of an old grandmother or grandfather who cannot take care of the children and support them. There are also cases where a single parent has health problems which makes it difficult for them to be the family bread winner. CCI and the school has helped, children, families and the entire community by enabling vulnerable children to attend school, be taught by qualified teachers, receive uniforms, and eat nutritious meals. Parents have become sensitized to the importance of education, and are supportive of these vulnerable children acquiring education. Remarkably, the community interventions focused on improving the welfare of villages economically and socially over the past ten years, have been the capable leadership of one of Muhanda’s first students to complete his schooling in Kenya, earn an MBA from the USA, and ultimately return to his own community to bring desperately needed improvements in health, education, and economics to his own people. ChildCare feels privileged to work with such selfless and gifted leaders. Meet John, a child sponsored through CCI at Mawazo. John shares a cot with his two sisters and two brothers. His house has no running water, and the family uses the neighbour’s outhouse. His father is unemployed, and his mother suffers from mental illness preventing her from seeking work. John suffers from a spinal disease, which affected him for sometime and was unable to attend classes. Through the support of CCI, John was able to receive treatment and was able to join school. John has excellent performance as he emerges top in his class, and his teachers are proud of him. Unfortunately, do to his illness, he has lowered immune system, and is frequently diagnosed with malaria. To help John and children like him, bed nets are available to purchase year round through our gift catalogue. 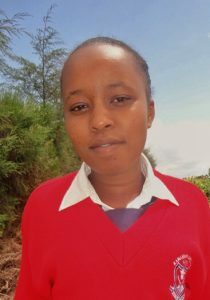 Meet Margaret, a sponsor child with CCI. 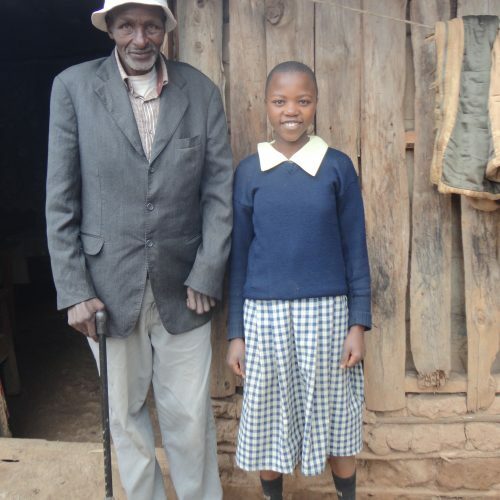 Margaret’s father abandoned the family before she was born, and her mother died in childbirth, leaving her and her seven siblings to live with their elderly grandparents. 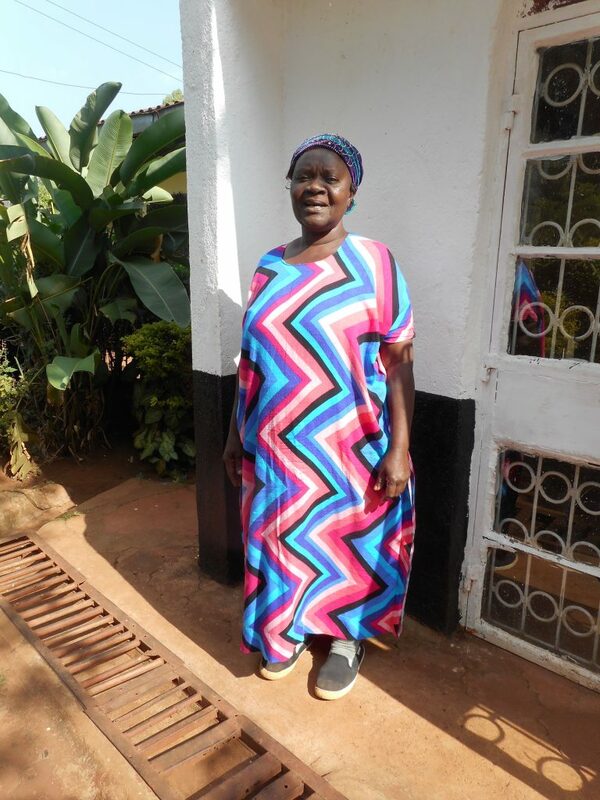 Through support from CCI, Margaret has been able to receive school fees, and uniforms, nutritious meals and health services provided for her every year. Were it not for ChildCare INTERNATIONAL supporting the her, Margaret and her siblings would not be going to school. 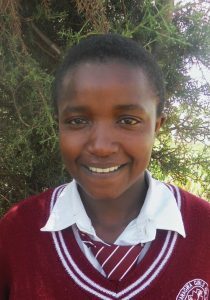 Margaret loves reading and doing mathematics, and is at the top of her classes. When Margaret grows up, she wants to become a doctor. Help children like Margaret achieve their dreams by sponsoring a child today.